Who knew the composer Gian Carlo Menotti was a serious, prophetic social critic? Not I. I remember watching his charming fantasy, “Amahl and the Night Visitors,” on black-and-white television as a boy in the 1950s. For decades I avoided looking into his one-act comic operetta, “The Telephone.” Perhaps I should have gotten off the esthetic high horse I was riding to investigate it. Menotti saw—in 1947!—that Americans were device-ridden, tyrannized by the telephone. He showed us obsessed, distracted, driven, controlled by the phone to the point that mutual consideration and conversation, formerly the chief charms of sociability, had died. Menotti felt the telephone had killed the continuity of existence. Life was now a series of interruptions. Leisure, too, was dead. Politeness, decorum, manners, formality suffered. Casual was king. Yes, it was funny, but it was tragic, too. And Menotti lived long enough to see our sidewalks full of zombies seemingly talking to themselves, eyes fixed downward on a small object in the palm of their hand fifteen inches from their face. These notions raced through my mind as I watched director Aaron Hunt’s singer-artists perform “The Telephone.” Mary Lutz Govertsen and David Govertsen were very good as Lucy and Ben. Both are excellent comedians who provoked continual laughter. My satisfaction would have been complete if Hunt had been able to scrape together another $30,000 or so to hire a twenty-piece chamber orchestra for this run—and find someplace to put them in the tiny Piccolo Theatre. I hate electric pianos. 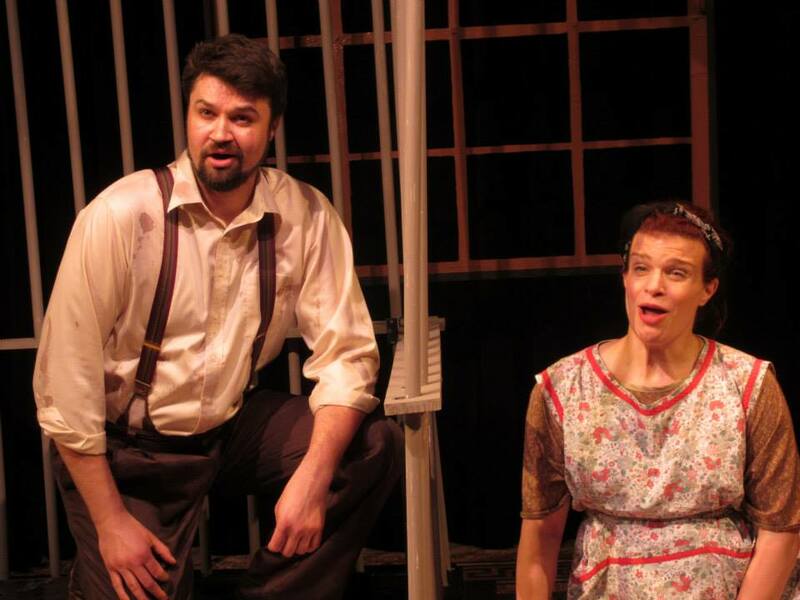 “The Telephone” and “Hello Out There” run concluded June 6. For forthcoming productions at Chicago Theatre-Opera, Piccolo Theatre, 600 North Main, Evanston, call (800)838-3006 or visit the Chicago Theatre-Opera website.